Announcing our Shutdown Special! In response to the lack of leadership that led our government to shut down, HTH is offering FREE LUNCH to federal government employees on unpaid furlough. 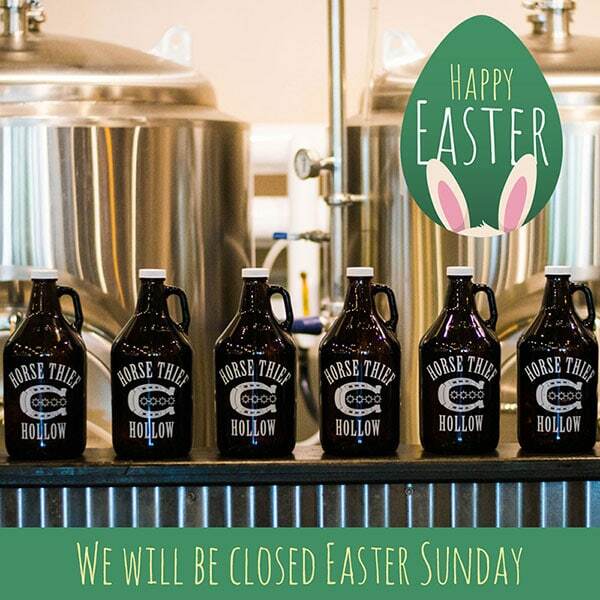 Bring your government ID to Horse Thief Hollow next week, and enjoy lunch on us! 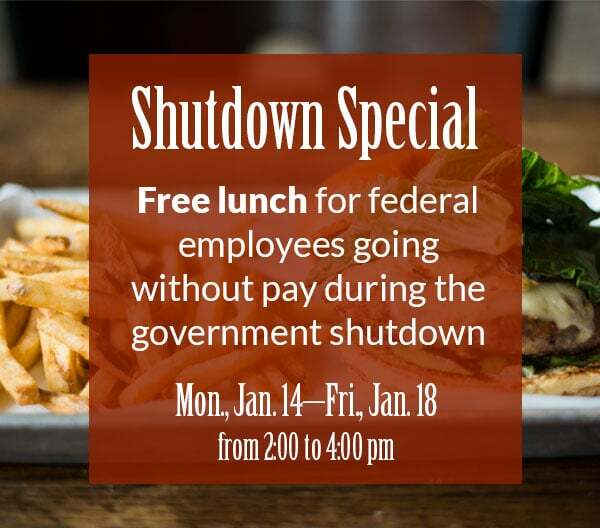 We’re offering free lunch to help ease the strain on our unpaid federal workers during the longest shutdown in U.S. history. This offer is good Monday through Friday, Jan. 14–18, from 2:00 to 4:00 pm. Maximum value of $15, and alcohol is not included. Why? No matter which side of the aisle you stand on, NO ONE should have to go without pay for weeks at a time to satisfy political ideologies or egos. The welfare of hardworking Americans should not be jeopardized or exploited for political gain. DO YOU HEAR US, Donald J. Drumpf, House Speaker Nancy Pelosi, Senator Mitch McConnell, and Senator Chuck Schumer? Filed under Events, Neil's News, Promotions.